Dr. Brown has been researching shame and found people she that would call “Whole Hearted,” as they are willing to be vulnerable to shame in order to introduce ideas in conversation. More recently, Dr. Brown has suggested the vulnerability is a gift in situations where courage or whole heartedness could be revealed. Vulnerability, I think, predisposes us to handle situations that would be avoided by the faint hearted. Recently, I have had one or two opportunities to communicate with persons who might feel vulnerable and yet, they followed through with an initiative. I encouraged them to go forward in the situation they faced, as they felt vulnerable to embarrassment. I think our cultures have not made way for the Spiritual or Noetic dimension in our thinking. 1. As Freud mentioned we have a will to pleasure as children. 3. but Frankl’s will to Meaning shows up in early adulthood. Yet, our educational system seems to entertain the first two challenges but a minority get to wrestle with the third on their own. Frankl would suggest that our cultures think, mostly two dimensions, in problem solving. It seems to me, that most people view others as “how high?” and “how wide?” but most are not seeing with any depth. Frankl has mentioned this in term as dimensional ontology. Frankl’s Will to Meaning, is the desire to make situations and people have meaning in our lives. A two dimensional person would not worry about such things, as being meaningful and the human two-dimensional problem solving is, at times, without much meaning. It is clear to me that the third or Noetic dimension must be factored in. We might think better of a Body, Mind, and Heart. Yet, it is my experience that the laws in society are two dimensional or black and white, and the colour or Heart is often missing. This “taking Responsibility” is necessary to go beyond two-dimensional solutions for each challenge. I would also mention the News media, and many statements in conversation; carelessly use the word responsibility, when they really mean blame! Also, going beyond the two-dimensional thinking, with depth and colour of the Heart, makes it humane or Meaningful. It thus makes a good picture of Dr. Brown’s Whole Hearted person! Thus, we can say the view goes beyond the black and white law codes or orthodoxy of some religions, with Dr. Frankl’s chosen term: the Noetic Dimension. WOW! How serendipitous you would give this topic today. I was just doing some reading of an article by Hiroshi Takashima in the Journal of Logotherapy and Humanistic Antrhopology (1989). The terms “responsibility” and “will to…”” figured prominently in the article. I have seen Brene’s TedTalks videos and she is a wonderful speaker and has much to say about the human condition. 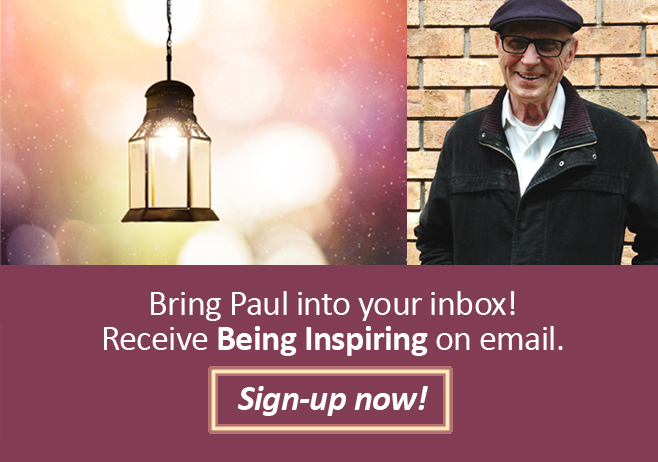 Next Next post: Being ON-Purpose Is Inspiring, Because We Were BORN INSPIRED!